New Cleveland general manager John Dorsey continued to wheel and deal on Saturday by agreeing to send Shelton, a former first-round draft pick, to the New England Patriots for a third-round pick in 2019, a person familiar with the deal told The Associated Press. Dorsey, who struck three major deals Friday, also sent a 2018 fifth-round pick to the Patriots, said the person who spoke on condition of anonymity because teams can’t finalize trades until the new league year begins Wednesday. 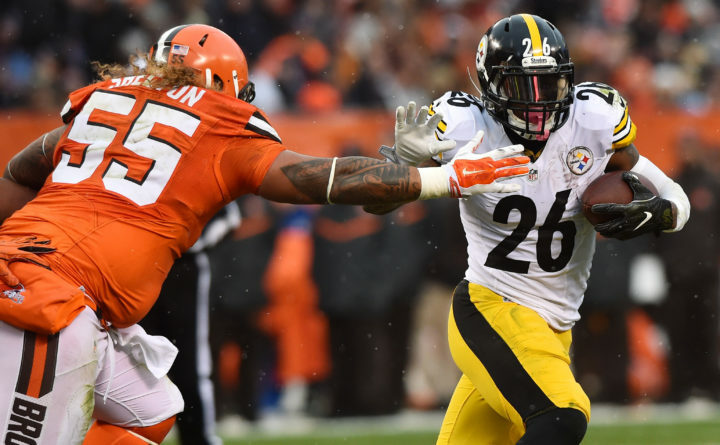 Shelton is the latest first-round draft pick to be dumped by the Browns, whose inability to choose good players in recent years is at the heart of the team’s woeful record. Cleveland went 0-16 last season and is an embarrassing 4-44 in the past three seasons. Since 2010, the Browns have selected 13 players in the first round, and only four remain with the team. Shelton was selected with the No. 12 overall pick in 2015. The 6-foot-2, 335-pounder, who starred in college at Washington, started 45 of 46 games in three seasons with Cleveland and the team seemed pleased with his progress against the run. But he didn’t make as many big plays as the team hoped and Shelton played out of position last season when Cleveland switched from a 3-4 defensive scheme to a 4-3 front and he was no longer playing over the center. Shelton’s departure may give more playing time to Larry Ogunjobi, a third-round pick last year who made one start and finished with 32 tackles and a sack in 14 games. Dorsey’s remake of the Browns isn’t over. On Friday, he sent shockwaves across the NFL with three major deals, acquiring quarterback Tyrod Taylor from Buffalo, wide receiver Jarvis Landry from Miami and cornerback Damarious Randall from Green Bay. He also traded quarterback DeShone Kizer to the Packers, a move that could impact the Browns’ plans in free agency and the upcoming draft. Dorsey had been expected to target a veteran quarterback in free agency, but Taylor’s arrival could change that unless Cleveland wants to bring in another experienced player to compete for the job. Either way, the Browns are likely to take a quarterback with the No. 1 overall pick in this year’s draft. Dorsey’s whirlwind of deals over the past two days may have been prompted by a concern that free agents would be afraid to sign with the Browns because of the team’s struggles and constant turnover. And while Dorsey has parted with three draft picks in the past two days, he has added talent without touching any of the five picks Cleveland has in the first two rounds this year.